Terry Thompson appeared to have loved his animal companions, over 50 of them, and spent most of his waking hours with them. But, we aren’t talking about dogs, cats, and other domesticated pets. His animals were lions, tigers, bears, monkeys, and other exotic animals. One wonders how he was even allowed to raise and cage all of these exotic animals on his Ohio property. Two days ago he opened their cages and let them free on his 40-acre Ohio property, then immediately killed himself. Details are emerging that question his reason for committing suicide – a huge tax bill, liens to his property, or potentially a wife that recently left him. Ohio police are being criticized for shooting the freed animals. But, the real question is, “How was he ever allowed to have these animals in the first place ?” Thompson also had a criminal record for federal weapon charges and an animal abuse record of cruelty and torture of his cattle. Former Ohio Governor Ted Strickland had passed a temporary executive order that banned the sale of exotic animals. Current Governor John Kasich allowed that to expire upon taking office. 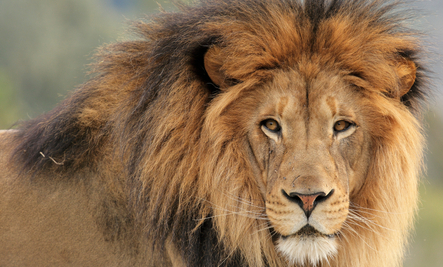 Ohio is one of ten states that currently doesn’t regulate the sale of exotic animals. If nothing else, hopefully this disastrous event will help bring awareness to the extent of damage that can happen without regulation. Do you think exotic pet sales should be illegal? Thanks for taking the poll below. And, if you think it should be illegal, please sign the Care2 petition that would stop the sale of exotic animals in Ohio. Off course it should be illegal to own exotic animals...and what baffoons here actually answered no??? You 4% are what's wrong with society. That is so sad :( Exotic pet sales should be illegal! HOW MONEY CAN BUY THIS KIND OF ANIMALS.....THIS MAN IS DICKHEAD CRUEL NASTY CREATURE ,HELL WITH HIM AND THE PEOPLE INVOLVE IN KILLING THE ANIMALS WHY NOT TO TRY SOMETHING TO PROTECT THEM.....STOP TREATING WILD ANIMALS AS PETS.....THEY BELONG IN THEIR ON HABITAT.. If the States fail to grasp the concept that exotic wild animals do not belong to people nor should they be living with them then the death of the both the animals and the humans are on their hands. This Is not the First time this Has Happened, it has happened to other people too!! It cost's a lot to take care for them and almost impossible to keep them like they should be kept! What the heck? Did they have to SHOOT the poor animals? Couldn't they have just used tranqs? Also, they really need to ban the sale of certain exotic "pets". I mean, I keep small parrots, and I feel that's totally fine, but keeping large cats, bears, primates, large snakes, etc, is wrong.